Is Macy’s Inc (M) A Good Stock To Buy? Is Macy’s Inc (NYSE:M) the right pick for your portfolio? Prominent investors are unambiguously betting on the stock. The number of long hedge fund positions advanced by 6 recently. Mwas in 63 hedge funds’ portfolios at the end of September. There were 57 hedge funds in our database with M holdings at the end of the previous quarter. At the end of this article we will also compare M to other stocks including Oneok Partners LP (NYSE:OKS), Harris Corporation (NYSE:HRS), and International Flavors & Fragrances Inc (NYSE:IFF) to get a better sense of its popularity. 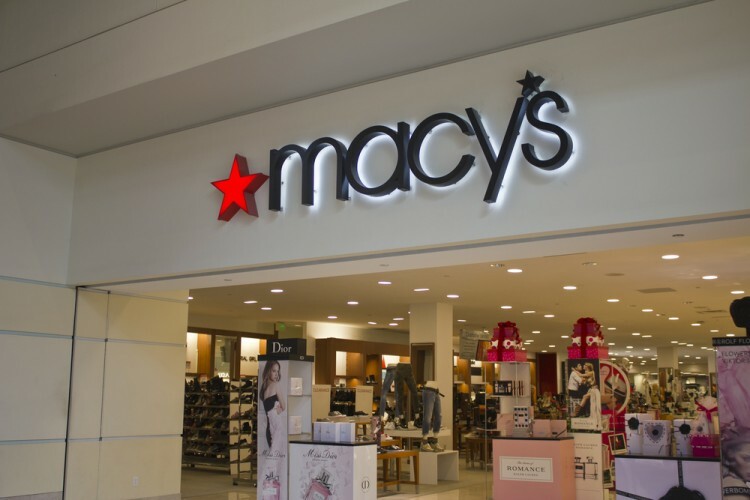 With all of this in mind, let’s view the recent action encompassing Macy’s Inc (NYSE:M). How have hedgies been trading Macy’s Inc (NYSE:M)? Heading into the fourth quarter of 2016, a total of 63 of the hedge funds tracked by Insider Monkey were bullish on this stock, up 11% from one quarter earlier. 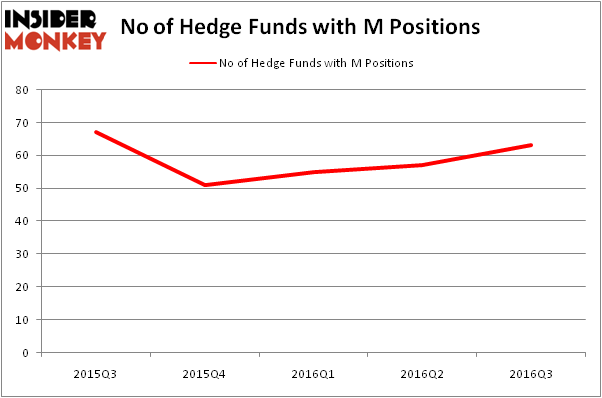 The graph below displays the number of hedge funds with bullish position in M over the last 5 quarters. With hedge funds’ positions undergoing their usual ebb and flow, there exists a few key hedge fund managers who were increasing their stakes significantly (or already accumulated large positions). According to publicly available hedge fund and institutional investor holdings data compiled by Insider Monkey, Israel Englander’s Millennium Management has the biggest position in Macy’s Inc (NYSE:M), worth close to $118.2 million, corresponding to 0.2% of its total 13F portfolio. Sitting at the No. 2 spot is Starboard Value LP, led by Jeffrey Smith, holding a $111.5 million position; the fund has 3% of its 13F portfolio invested in the stock. Some other professional money managers that are bullish consist of Rob Citrone’s Discovery Capital Management, Cliff Asness’s AQR Capital Management and Clint Carlson’s Carlson Capital. We should note that Starboard Value LP is among our list of the 100 best performing hedge funds which is based on the performance of their 13F long positions in non-microcap stocks.